All transactions are safe and secure with a reliable history in online purchasing behind each of our associates. 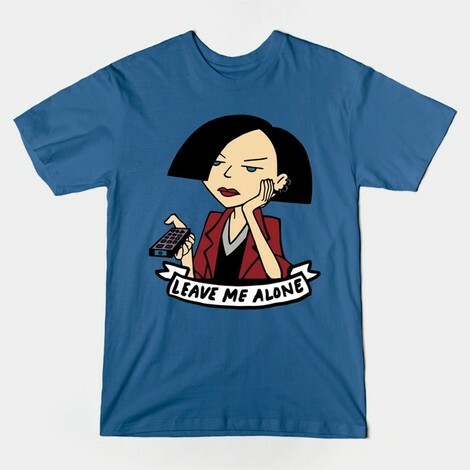 Buy the Jane Lane t-shirt to own Daria clothing and merchandise. Everyone has a friend to listen to their crazy remarks and Daria is no exception. Meet Jane Lane. Jane is Ms. Morgendorffer's best friend and confidante. They share an interest in watching superficial people make lamebrain comments, and they both resent being forced to participate in activities. Jane's art keeps her occupied while her parents are often away. Watch the duo's action-lacked interaction on the MTV Daria TV show or movies. In addition to the Jane Lane tee above, browse the Daria Clothing Gallery for more apparel like men's and women's clothes, kids shirts or hoodies.